Surprisingly this is a difficult combination to find and believe me I’ve tried plenty of options over the past few years. Over the past few months I have been trying out some of the many offerings from Wilderness Wear and the Cape to Cape Light Hiker Sock is the latest. Wilderness Wear is an Australian company that uses Australian raw materials and manufactures in Australia – this explains their ‘200% Australian owned and manufactured’ labelling. I will support Australian companies where I can but only if the product meets my needs. Over the past year I have come to love Merino wool socks. 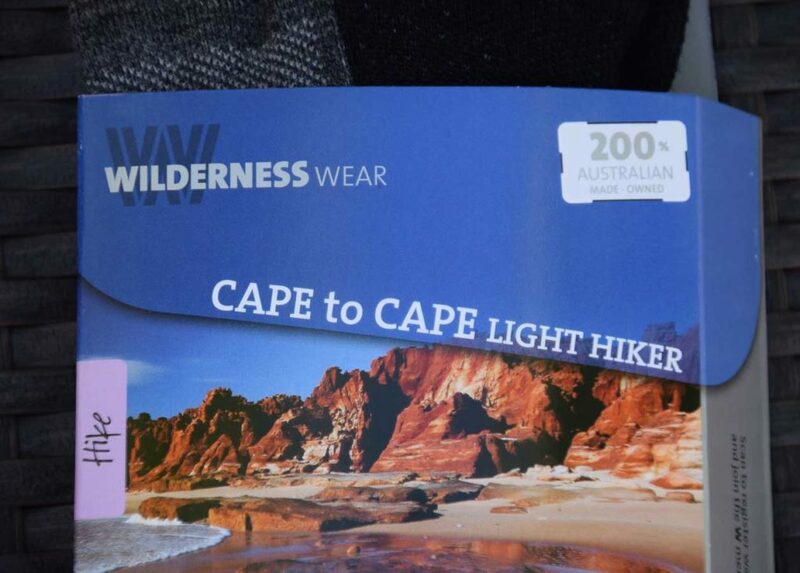 The Wilderness Wear Cape to Cape Light Hiker Socks are made from 80% Australian wool from sheep bred in Tasmania with a focus on quality and sustainability, and avoiding chemical pollutants during the fibre treatment process. The socks do contain 10% Nylon and 10% Lycra for stretch and wicking. The addition of this small amount of synthetic fibre works well and deliver a sock that fits snuggly but feels really comfortable to wear. 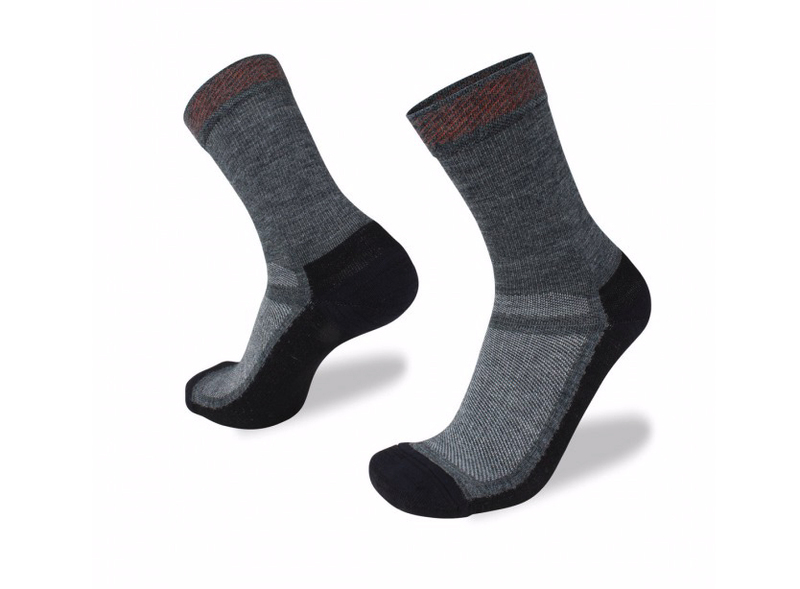 The Cape to Cape Light Hiker Socks come in three sizes and four colours and so are really a unisex sock. These socks are a 1/2 length sock which is longer than I prefer but if leg protection is needed then this is a good option. The Cape to Cape sock is also a little on the ‘too warm’ side for me … just. I am often hiking in temperatures exceeding 30 degrees Celcius in the summertime and so I prefer a lighter weight weave on the top of the foot to reduce the warmth and increase the ventilation. 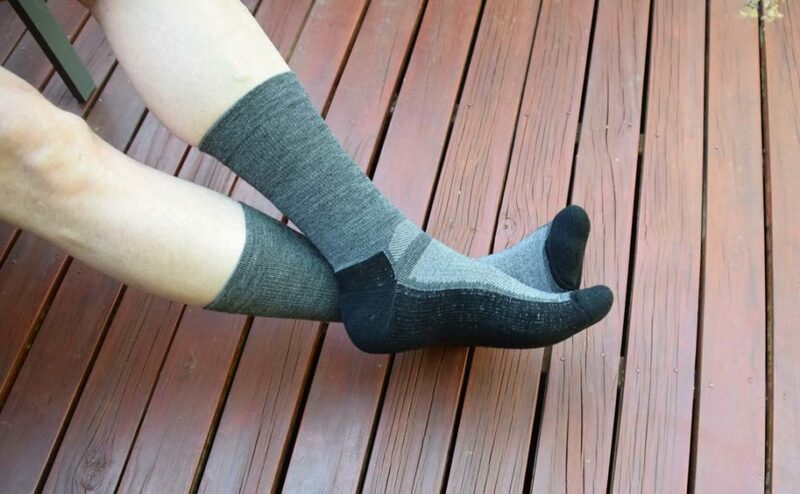 The cushioning on the sole of this sock is medium in thickness and provides good padding without being overly thick. They are well made, snug fitting and comfortable but for me, they are too long and just a bit too warm for all but the cooler months. 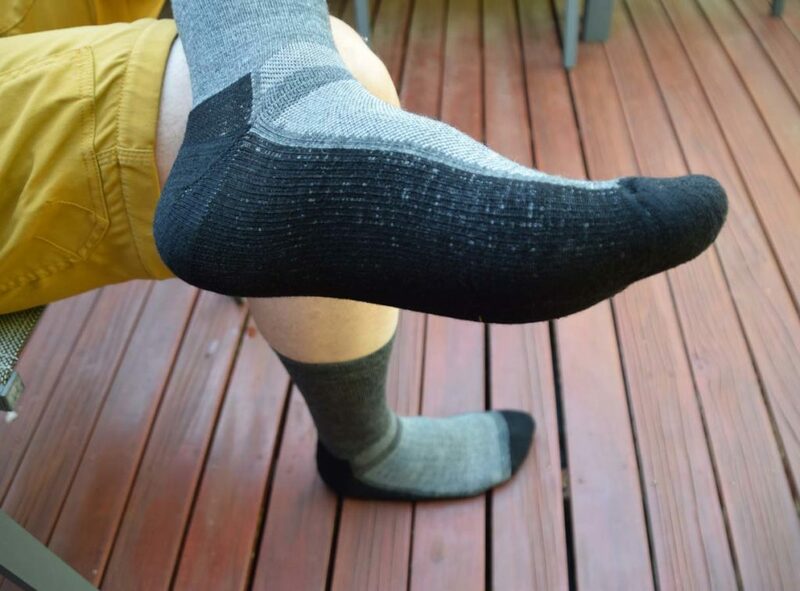 My personal preferences aside, this is a great sock that will suit many hikers. Please note that our affiliations do not influence, in any way, the independence of our gear reviews. If we don’t like something, you’ll be the first to know!